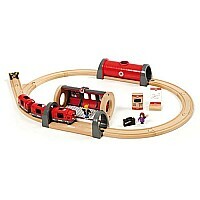 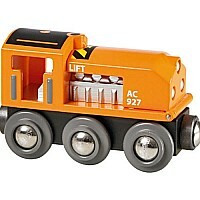 Travel back in time with this battery operated steam train and lay down the first railway tracks! 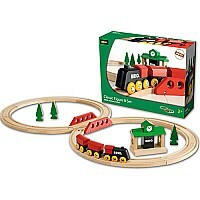 The train waits at the bridge while you add the rails to complete the railway. 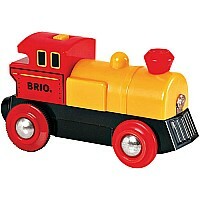 Measures 15.37" x 4.87" x 11.62" Ages 3 & up.